A beautiful set of early Victorian circa 1860 balloon back chairs. The chairs have decoratively carved backs and newly upholstered drop in seat pads. The seat pads have been upholstered in a white calico material leaving enough room for a top layer of material to be added if required. The chairs are in beautiful condition for their age and have a lovely deep and rich patina. 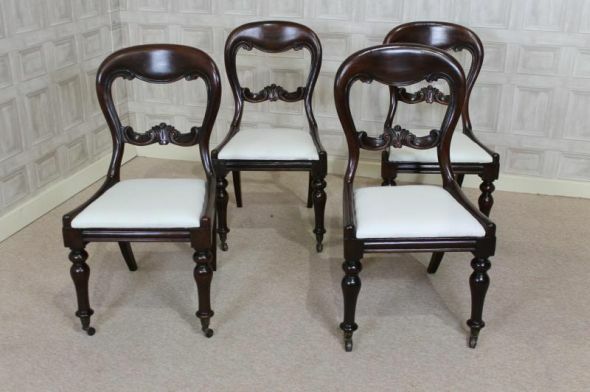 An ideal set for any period interior.